CARDROSS has the unusual — and possibly unique for a village — distinction of having been home to two winners of the Victoria Cross, Britain’s highest award for gallantry. 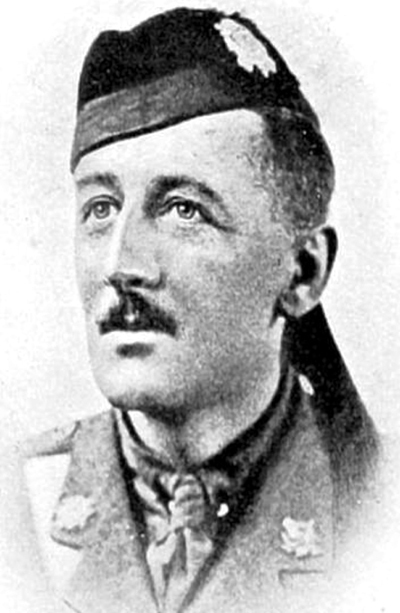 The better known of the two was Lieutenant John Reginald Noble Graham, who lived with his parents at Darleith in the village before and after World War One. Posted to the 9th Battalion of the Argyll and Sutherland Highlanders, he had been seconded to 136 company of the Machine Gun Corps. His VC was awarded for his bravery in Mesopotamia on April 22 1917. In April Argyll and Bute Council incorporated a commemorative stone in Cardross War Memorial, and it was unveiled by the Lord Lieutenant for Dunbartonshire, Rear Admiral Michael Gregory OBE. But another name on the war memorial is that of Lieutenant Colonel William Herbert Anderson, VC, 12th Battalion, Highland Light Infantry, known to all as Bertie, and a similar commemorative stone was unveiled in his honour in the People's Palace in Glasgow in March 2018. Born in Glasgow December 29 1881, he was the eldest son of William James Anderson, CBE, a stockbroker and chartered accountant, and Nora Campbell Anderson, of Lansdowne Crescent, Glasgow, and Strathairly, Largo, Fife. Bertie was educated at Glasgow Academy and Fettes College in Edinburgh, and he was a member of the 1st Lanark Rifle Volunteers from 1900-08. His first job was in the Glasgow accountancy firm founded by his grandfather, Kerr Anderson and MacLeod, and in 1907, he passed his professional exams. The following year, he became a partner in the business, and also married Gertrude Gilmour, of Woodbank, Balloch. They set up home at Tighcruachan, a 15-room villa which then stood beside Main Street in Cardross, opposite the golf course. It was their home until his death in 1918, and there they had two sons. The house, later known as Borrowfield, was destroyed in the Cardross Blitz in 1941. In September 1914, Glasgow Chamber of Commerce raised a battalion from technical colleges, and men from various trades and professions in the city. Bertie, now Captain W.H.Anderson, a volunteer originally with ‘C’ Company, was promoted to major, as second in command of several other battalions, and reached France in 1916. He was briefly invalided home in March 1917, when he was promoted to Lieutenant Colonel, and returned to northern France to command the 12th HLI. He died on March 25 1918 at the age of 36, and was awarded the VC for his gallantry that day at Bois Favieres, near Maricourt in the Somme valley. The citation read: “For most conspicuous bravery, determination, and gallant leading of his command. “The enemy attacked on the right of the battalion frontage and succeeded in penetrating the wood held by our men. “Owing to successive lines of the enemy following on, here was the greatest danger that the flank of the whole position would be turned. “Grasping the seriousness of the situation, Colonel Anderson made his way across the open in full view of the enemy now holding the wood on the right, and after much effort succeeded in gathering the remainder of the two right companies. “He personally led the counter-attack and drove the enemy from the wood, capturing twelve machine guns and seventy prisoners, and restoring the original line. “His conduct in leading the charge was quite fearless and his most splendid example was the means of rallying and inspiring the men during the most critical hour. “Later on the same day, in another position, the enemy had penetrated to within 300 yards of the village and were holding a timber yard in force. Colonel Anderson reorganised his men after they had been driven in and brought them forward to a position of readiness for a counter-attack. “He led the attack in person and throughout showed the utmost disregard for his own safety. The counter-attack drove the enemy from his position, but resulted in this very gallant officer losing his life. His great grandson, journalist Robin Scott-Elliot, who lives in Helensburgh, published a book, ‘The Way Home', a fictionalised version of the story of the four brothers, in 2007. He revealed in an article in The Independent the following year that it took a week for rumours of Bertie’s death to filter home. There was a feeling of dread in his parents home at 14 Lansdowne Crescent in Glasgow’s West End. They had to know, as Bertie was the last surviving of their four boys who had gone willingly to war in 1914. Bertie’s three younger brothers had already lost their lives during the war — Captain Charlie of the HLI, in Flanders on December 19 1914, Second Lieutenant Ronnie of the HLI in the Givenchy area north of Arras on October 8 1915, and Captain Teddie, a Royal Flying Corps pilot, in a flying accident in Hampshire on March 16 1918, just a few days before Bertie. Bertie is buried in Peronne Road Cemetery, Maricourt, and he is commemorated on a dozen war memorials. 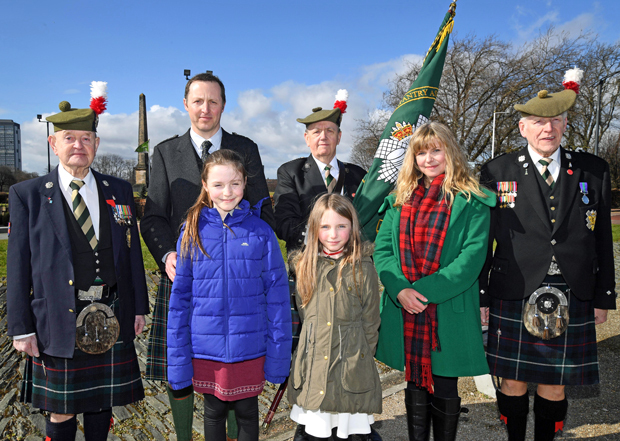 The Scott-Elliot family attended the unveiling of the new memorial in March 2018, including two great great grand daughters, Iona Scott-Elliot (10) and Torrin (8), who are both Hermitae Primary School pupils. The ceremony, on the 100th anniversary of his death, was led by Glasgow's Lord Provost, Eva Bolander, in her role as Lord Lieutenant of the city. She said that it was an immense privilege to join the family and reflect on his heroism. "He demonstrated extraordinary courage and saved the lives of many of his men," she said. "One hundred years ago his brave deeds were documented by the media in our city and beyond. "By unveiling this commemorative paving stone today, we ensure his courage is remembered for posterity." Robin Scott-Elliot said: "Bertie was 36 when he was killed, which was comparatively old for a First World War casualty. But it is still only half a life — half a life given up in the service of his country, and that's one reason I feel we must keep his memory alive. "One day it will fall to those great great grand children to keep telling the story of Bertie and his brothers. This stone will help them do that. "It was a privilege to be there exactly 100 years to the day of Bertie's death. It was also humbling and poignant. I think today it is important to look back, especially as both world wars slip beyond living memory." Bertie's Victoria Cross medal is on display at the Lord Ashcroft Gallery in the Imperial War Museum in London. Robin Scott-Elliot, his wife Karen, and daughters Iona and Torrin at the People's Palace ceremony.